97% Translation: if potential customers can’t find your business online, you’re missing out on a huge chunk of your market. We offer a variety of web-based marketing services that allow us to reach the global marketplace, affect change and track results instantaneously. Our Internet marketing specializes in search engine optimization (SEO), blogging, social media, e-mail marketing, online PR and website analytics. We offer our clients total visibility and accountability. 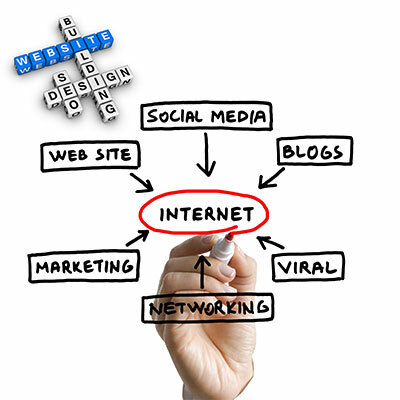 All of our Internet marketing programs include research, strategy, content development and measurement. Our team develops the strategies, creative components and tracking systems to tell us, and our clients, what’s working and what isn’t. This campaign performance intelligence allows us both to guide marketing programs and investments with pinpoint precision. Our online advertising, data analytics, SEO, blogging and social media experts offer the tools, systems and processes necessary to launch and manage full-scale online marketing programs. If you want a marketing program that is affordable, fast to develop, quick to deploy and 100% measurable, please contact us. We have experience with many industry sectors, so we can learn your business and market quickly.